How Effective Are Teenage Boot Camps For Troubled Teens? Teenage Boot Camps, Wilderness Programs and Military Schools: Are They Effective? When you have a defiant, out-of-control teen, the idea of sending him to a boot camp or wilderness experience program can sound attractive—and also scary. Perhaps you’ve heard some amazing stories, with claims of wildly successful, life-saving results. On the other hand, you’ve probably also heard the horror stories: allegations of abuse and mistreatment that have, in some tragic cases, resulted in injury and death. This, coupled with the fact that sending your child away is heartbreaking and difficult, makes it the hardest decision a parent ever has to make. Parents often call parent coaching and ask, “What do you think about boot camps and military schools? Are they effective?” The truth is, that’s a tough question for us to answer because there’s very little independent research on what are collectively called “troubled teen programs.” What it really comes down to is that in general, these programs get very mixed results. This article deals with military schools, boarding schools, reform schools, boot camps, wilderness camps and other troubled teen programs intended as an intervention for troubled youths and their families. These programs differ from in-patient substance abuse programs or mental health facilities where children and teens who may be a risk to themselves or others get treatment for addictions and serious mental illnesses. More intensive treatment programs, as well as programs that are reserved for foster children or wards of the state, will not be discussed here. 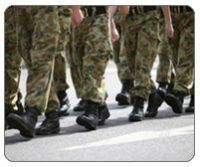 Teenage Boot camps and Military Schools: Are They Safe? Allegations of abuse, neglect or improper management tend to be associated with programs that are not licensed by the state in which they operate, or accredited by any sort of national accreditation organization. If you are considering sending your child or teen to one of these programs, remember that essentially there’s no oversight or accountability without accreditation or licensure—and even if the program is accredited, this isn’t an insurance policy against human error and poor judgment. In other words, no program is perfect. Be sure to have a good, clear understanding of both the benefits and the risks associated with any program that you’re considering. 1. Accreditation and licensure: First and foremost, make sure the program is accredited by an accreditation agency such as the Joint Commission (JACHO) or the Council of Accreditation (COA). You should also make sure the program is licensed in the state in which it operates. 2. Is it appropriate? Make sure the program and its methods are appropriate for your child and will meet his or her needs. If you are not certain what your child’s needs are, work with a local professional who can help you understand, such as your child’s physician, school guidance counselor, or mental health professional. Their evaluation can help you better understand your child’s needs. If your child has other health concerns, such as asthma, diabetes or allergies, for example, make sure the program understands his medical issues and will be able to make appropriate accommodations. 3. A Cognitive Behavioral Therapy approach: Look for a program that offers a Cognitive Behavioral Therapy-based curriculum. While some boot camps or schools may not offer counseling, often a defiant or acting-out adolescent can really benefit from behavioral therapy to teach him the skills he needs to change his behavior. The National Institute of Justice did a research study that indicated that the most effective programs use Cognitive Behavioral Theory as an approach to counseling which focuses on changing faulty thinking as well as behavior. While many programs include or even require therapy, they might not use behavior modification, which is the approach of The Total Transformation Program and what is recommended as being most effective. 4. Victims of abuse: Understand that boot camps are not appropriate for children or teens who have been victims of abuse of any kind. Research shows that this type of environment causes increased stress in this population of children. If your child has suffered abuse, consult with a mental health professional to find the appropriate treatment for him. 5. Is it personalized? Find out whether or not the program you’re considering is personalized. The National Institute of Justice suggests that programs are more effective when they take into account your child’s individual learning style, personality and behavioral characteristics. If the program is personalized and doesn’t simply operate by a cookie cutter standard—if it’s geared toward unique needs in the individual in some way—it will probably be more successful. If you’re afraid you don’t have a full understanding of your child’s needs, it’s a good idea to consult with a local professional who knows your child, such as a school counselor or a therapist, for example, and ask for input. 7. Get references: Ask for references from the troubled teen program you can check or contact. Are there parents you can contact and speak to whose children have been through the program already? You want to get those references and call them; ask everything you can think of to get a really clear picture of how the camp or school operates and what their child’s experience with the program has been like—even after their child returned home. 8. Ask for proof of success and credentials: Ask the contact person at any program to provide you with evidence of success. Get proof that their program works, that the staff possesses appropriate credentials and has adequate training and supervision to successfully perform the interventions used by the program. When Your Child Comes Home: Can You Expect Good Behavior to Continue? Contrasted with the regimented schedule your child experienced in a camp or at school, back home, within the chaos of everyday life, no single day is exactly like another. Things come up, parents get stuck at work, schedules are hectic and varying. And unlike a wilderness camp or military school, there are usually only one or two adults in charge—and as we all know, ample outside distractions for most teens. The bottom line is that any positive changes made in the unique setting of a troubled teen program can be very difficult to maintain in the home. After all, how can you turn your house into a military school or boot camp? I believe that most parents can benefit from education and training while their child is away. So ask yourself these questions: “What tools from the troubled teen program can I use at home? What skills do I need as a parent to ensure a successful transition for our child when she comes back home? How can we maintain the progress that has been made?” It’s really important that parents and families are part of this process and that there is support and consultation available for you once your child is back. Look for a program that involves parents and siblings and that provides parent training or family therapy. Why Do Troubled Teen Programs Fail? Why do some programs fail to teach kids how to change their behavior? In some cases, there’s a lack of adequate training and support for families and parents. The program you choose should do a follow-up meeting or phone call with you a few months after your child comes home to see how things are going, and it should provide you with more assistance if needed. 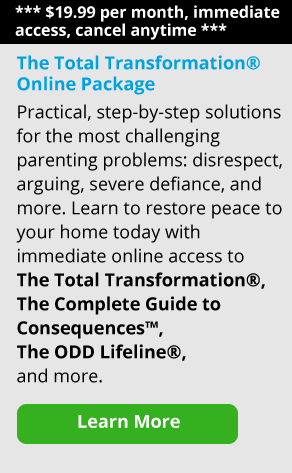 A Cognitive Behavioral Therapy program like The Total Transformation is also a good way to learn skills as a parent and set up a structure for your child when he or she comes home. Many times, parents send their kids away thinking that they’ll be fixed by the boot camp or school. They’re surprised when they come home and fall back into old patterns. But think about this common expression: “What’s the definition of insanity? Doing the same thing over and over again and expecting the results to be different.” Not only does your child need to undergo some kind of change, you as a parent need to change your approach as well if you want to see a successful outcome. Again, you need to have a structure in place when your child gets home from the school or camp, whether it’s something recommended by the program or The Total Transformation Program. Remember, your child isn’t a digital camera that you can mail away and get fixed and returned to you in working order. You have to change the dynamic within your family if you want to see results. That’s why the family therapy treatments that take place with the child in the home are recognized by many experts as being most effective. Deciding to place your child in a troubled teen program is always a very personal choice that you should make on your own and/or with the support of a local professional who knows your family and your child. We strongly encourage parents to take their time and do some research and really dig deep into the inner workings of several programs if you decide to go that route. Have your list of questions ready. Do not be afraid to ask these organizations to provide proof of their claims, proof of the results they’ve obtained, proof of staff credentials, proof of life insurance and accreditation. And remember: have that plan in place for when your child comes home.